My daughter, Mia, is autistic. 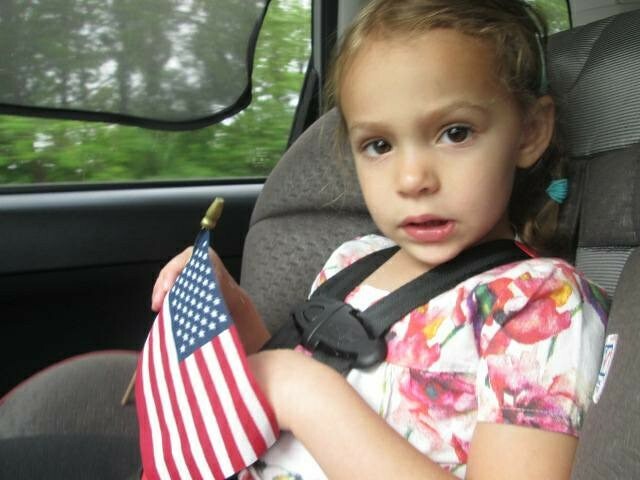 She&apos;s 4, and Medicaid helps pay for her additional speech therapy and her TSS worker at school. We&apos;re extremely worried that massive cuts to Medicaid would limit her access to services that have helped her grow and thrive. We want her to be as independent as possible someday and reach her full potential. This is not possible without Medicaid. ACA will affect me and my mother. 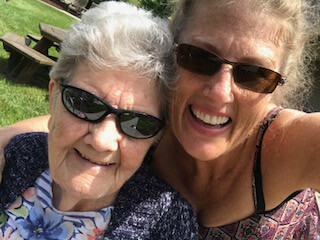 My mother is 90 in July and I turn 57 this year. 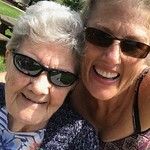 I am disabled due to a surgical error when having a hip replaced and my mom has Alzheimer&apos;s disease and lives in a secure section of a local nursing home. Moms savings are almost depleted and I am unable to work now and receive disability. I want to return to work but am unable to work full time in my career field. I have worked as a mental health therapist for many years and since the surgical issue I have to take a lot of medication to be able to walk without crutches or canes. The medication makes my memory and processing abilities weak and if I stop taking it then I have to use crutches/canes to ambulate. What am I to do? What is my mother to do? I am a diabetic 69 year old woman. in a wheelchair living in a nursing home (personal care home). I taught school for 32 years, in a non-union institution. My pension is nearly exhausted. My assets were seized by the home as part of my admission. I am incapable of going back to teaching, even if I could find a job to supplement my income. I never had children (actually, I&apos;ve had hundreds!) or a husband to take care of me (an "old maid schoolteacher"!). And I am certain I am not unique. I paid my dues and my taxes. Where is my government going to be after I gave it so much of my life? My mother has Alzheimer&apos;s. She worked her whole life and even received a small inheritance but her money will run out in the next year or two. With the expense of memory care, without Medicaid me or one of my sisters will have to quit our jobs to take care of her full time. None of us have the skills to do so but we will have no other choice. As a hereditary disease I can only expect the same future for myself. I never had children so there will be no one to take care of me. Currently I have Medical Assistance for Workers with Disabilities. It’s a state health insurance plan for people who have chronic illness and disabilities. This is a form of medical assistance. Medical assistance in the state of PA is considered Medicaid. My insurance did not change when I switched off traditional Medicaid to MAWD. I currently work full time with asthma, fibromyalgia and bipolar 2. All 3 are considered disabilities. My plan is renewed every year based on my income. I am currently enrolled for 1 year. After 1 year my income is reviewed and if I still make 250% of the Federal Poverty Level, my insurance will be renewed. I pay 5% of my income which is currently $54 a month for this plan. I currently work full time with asthma, fibromyalgia and bipolar 2 as well as alcoholism. I take a variety of medications to treat all of these chronic conditions and in the past have take advantage of the outpatient treatment and dedicated recovery specialist counseling for alcoholism. When I first admitted I was an alcoholic I started attending AA meetings. I was hesitant to stay at first because what seemed like such a simple solution did not seem plausible for me. When I was court ordered to have a drug and alcohol assessment I was assigned outpatient treatment along with counseling services through a recovery specialist. I went to see my recovery specialist every week, and really credit her with helping me see all the resources that were at my disposal (to combat my alcoholism). She was instrumental in keeping me engaged in AA and on the path to recovery. Before the ACA passed I would not have been eligible for Medicaid and I would have paid out of pocket for my employer’s insurance. Their insurance was costly, as well as the copays that were imposed for my much needed maintenance medications. Without my Ventolin inhaler for asthma I would be in the ER every day with asthma attacks. My employers insurance would charge me $45 per month for that medication. MAWD and Medicaid charge me $3 a month for the same inhaler. The same goes for pain medication and prescriptions for inflammation and my mood disorder. The amount of money I save on prescription costs and copays helps me pay for my rent. If I couldn’t afford my mood stabilizers I wouldn’t be working, nor would I be in recovery. When things seemed hopeless, self medication was the only way I saw out. Without access to my recovery specialist and the freedom to see her weekly without a co-pay, I believe I wouldn’t be alive. My addiction had taken me far from the person I wanted to be and I believe Medicaid expansion saved my life. I don’t even want to think about what my life would be like without the insurance coverage I have right now. All of my conditions are considered life threatening to me. I need to be able to breathe, be free of pain and depression (and actively contribute to society). I need to be able to communicate with people in my workplace and not be bogged down by rapid mood cycling. I need to be free from the grip of addiction and live a happy and useful life. If I didn’t have this coverage I’d likely be dead or weighed down with an insane amount of hospital and medical bills, with no hope of ever digging myself out of that debt. If I were to pay more for these services I would fear homelessness. The amount of money I make keeps me living paycheck to paycheck, but I’m not in debt and I have what I need. If I was charged per copay or the inflated or full prescription cost, I would likely be reduced to choosing between eating, or getting my medications. This is much like some of our seniors do now. How is that a good way to live? Why, in the supposed, most progressive country in the world, would we allow people to live that way? Cutting Medicaid and repealing the ACA would be disastrous on my life. If I can’t care for myself (in the absence of my maintenance medications) I would likely fall into depression and my chances of relapse would double. If we can’t have universal healthcare, Medicaid is the closest way we can help the most people, be the most productive person they can be while battling chronic health conditions. ACA repeal would leave my family of 6, 2 parents and 4 sons, with mountains of medical bills and thousands of dollars of prescription drugs that we just could not afford. I myself was able to have a lifesaving surgery last year because of my ACA coverage,. My 11yr old son has anxiety disorder, ADHD, and an Autism diagnosis that is all taken care of bc of the ACA coverage we have. My 9yr old son was born with a heart condition that was not discovered until last year, but without ACA, he wouldn&apos;t have any coverage for his daily meds or treatments. My husband is diabetic, hypertensive, and has anxiety. My 18 and 14yr olds both have ADHD. We are all here today, and doing as well as we are because of the ACA. Please don&apos;t take that from the hardworking Americans who put you into office. As it stands right now, the existence of Medicaid means that I won&apos;t need to choose between caring for my parents and providing for my own family. I feel incredibly lucky to have a stable job that pays well, particularly because my parents have significant financial troubles. When my parents need long-term care – as virtually all Americans do at some point – they will not have the savings to pay for it, nor can they afford the premiums for long-term care insurance. It will be my responsibility to care for them, just like they have cared for me. Without Medicaid, I&apos;m not sure how I would fulfill that promise. Long-term care regularly costs thousands of dollars per month. Paying for nursing care would easily exceed what I earn in a month. I hope more people will realize that that Medicaid protects the American Dream for everyone, plain and simple. No parent wants their healthcare costs to bankrupt their grown children. No adult wants to choose between their financial stability and their parents&apos; care. With a strong, well-funded Medicaid system, I can continue to care for my entire family – and so can you.